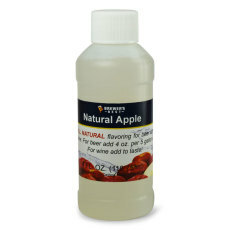 Apple Natural Flavoring, 4 fl oz. An apple flavoring used in the beer or wine making process. 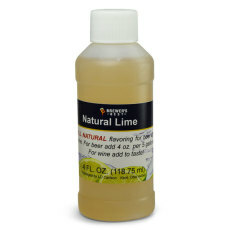 Lime Natural Flavoring, 4 fl oz. A lime flavoring used in the beer or wine making process. 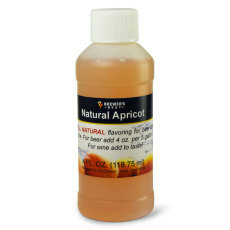 Apricot Natural Flavoring, 4 fl oz. An apricot flavoring used in the beer or wine making process. 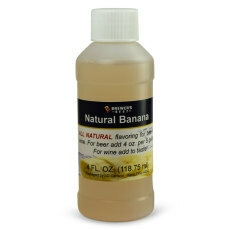 Banana Natural Flavoring, 4 fl oz. A banana flavoring used in the beer or wine making process. 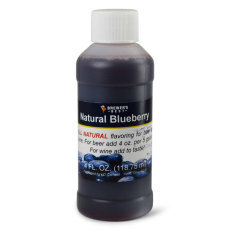 Blueberry Natural Flavoring, 4 fl oz. A blueberry flavoring used in the beer or wine making process. 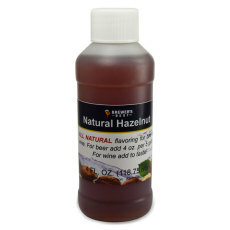 Hazelnut Natural Flavoring, 4 fl oz. A hazelnut flavoring used in the beer or wine making process. 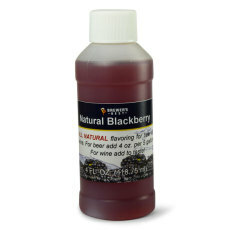 Blackberry Natural Flavoring, 4 fl oz. A blackberry flavoring used in the beer or wine making process. 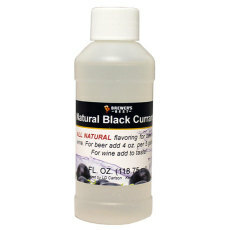 Black Currant Natural Flavoring, 4 fl oz. A black currant flavoring used in the beer or wine making process. 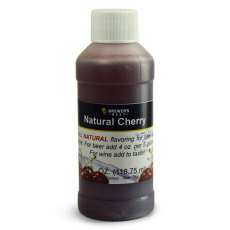 Cherry Natural Flavoring, 4 fl oz. A cherry flavoring used in the beer or wine making process. 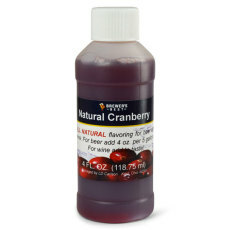 Cranberry Natural Flavoring, 4 fl oz. A cranberry flavoring used in the beer or wine making process. Peanut Butter Natural Flavoring, 4 fl oz. 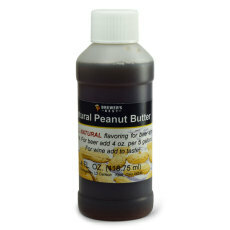 A peanut butter flavoring used in the beer or wine making process. 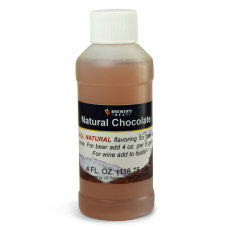 Chocolate Natural Flavoring, 4 fl oz. A chocolate flavoring used in the beer or wine making process.